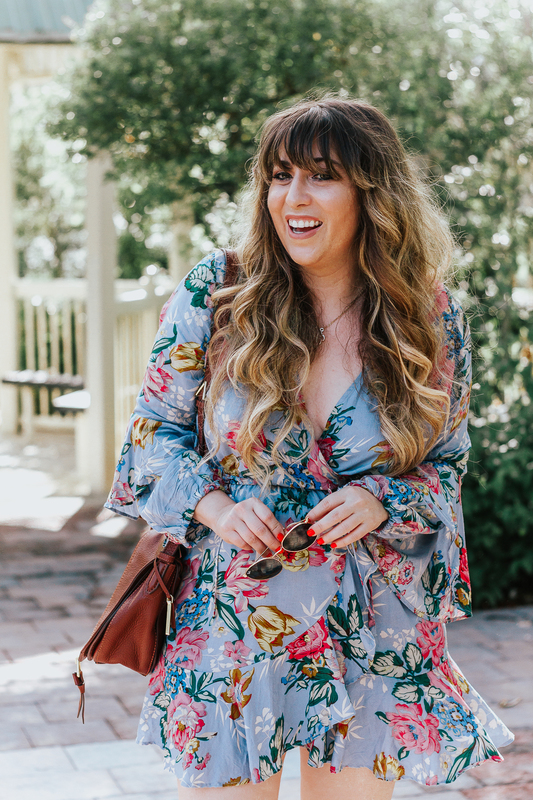 This dress got SO many comments and compliments when I posted it on Snapchat and Instagram last week! You guys LOVED it, as do I. So excited to finally be able to share it on the blog! 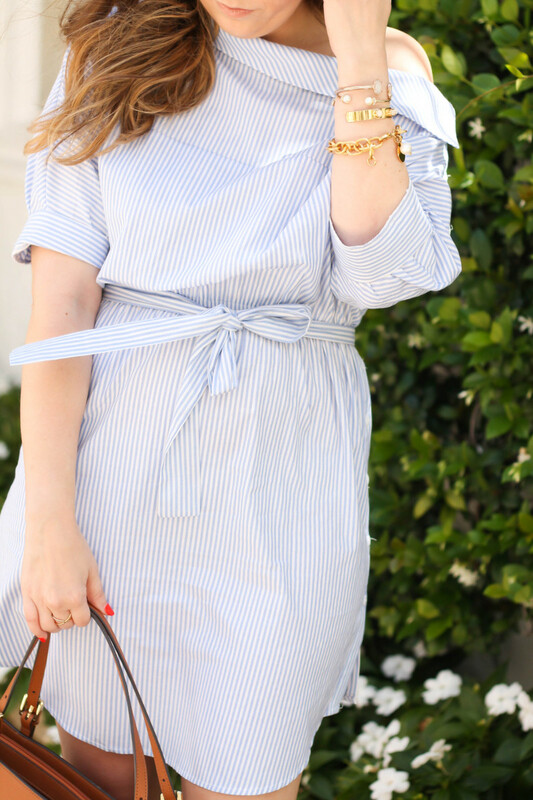 I had spotted this striped shirtdress last year and was really intrigued by it. I didn’t immediately notice, but it’s designed to look like you’ve thrown on a men’s dress shirt at an angle! Isn’t that AWESOME? I think it’s, like, the coolest thing ever lol! In case you don’t see it, it buttons up all the way up the side! The collar buttons right around the shoulder. I mean, obvi it’s not a REAL men’s shirt, unless the guy was HUGE and had a gigantic neck lol! But the idea is really unique and fun! I was initially worried that it wouldn’t be flattering on me, but I was wrong, I love it. The additional belt really ties the whole thing together! 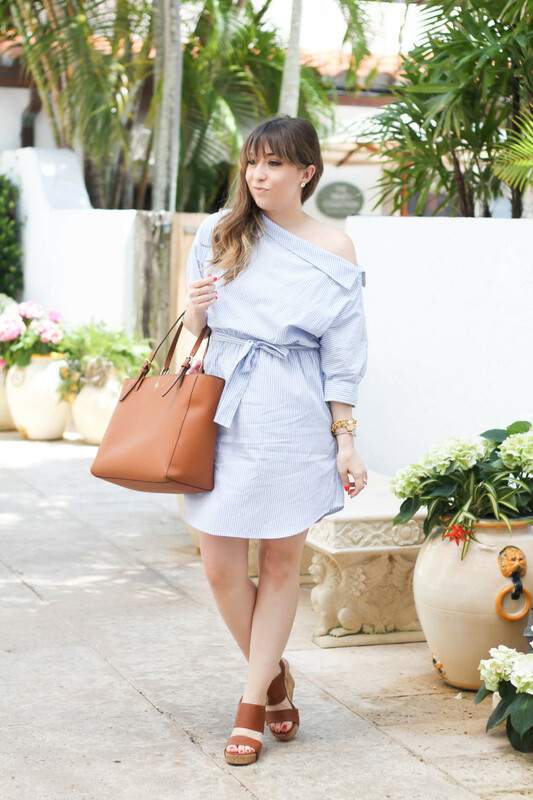 I love the asymmetrical neckline and the fact that it’s half off the shoulder. The whole look is so casual and effortless. For sizing reference, I am wearing a SMALL. Make sure you pay close attention the measurements, as always. Oh yeah– and it’s only $17.59!! Under $20? You need this for spring and summer. Blue and white just feels like it naturally screams for cognac accents, don’t you think? 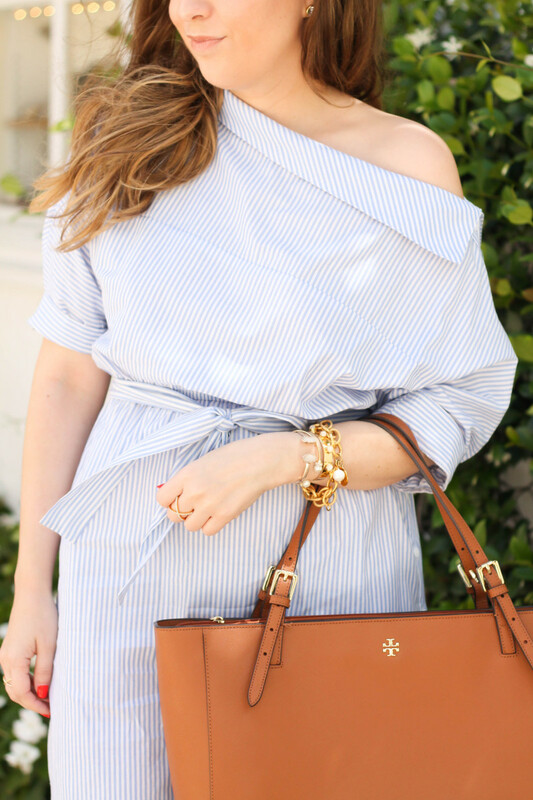 I am obsessed with the Tory Burch York tote, it’s my new go-to. I can throw my laptop in it, my notebook, makeup bag,wallet… everything! I love the compartments, it helps keep me semi-organized when I’m running around town. Check out the look below and tell me what you think!